Sprout HQ — Rusty Design Co. In 2017, Sprout hits its stride, building out a beautiful new two-floor office in the Citadel Center. I was tasked with directing the branding, way finding, and 10+ art installations. 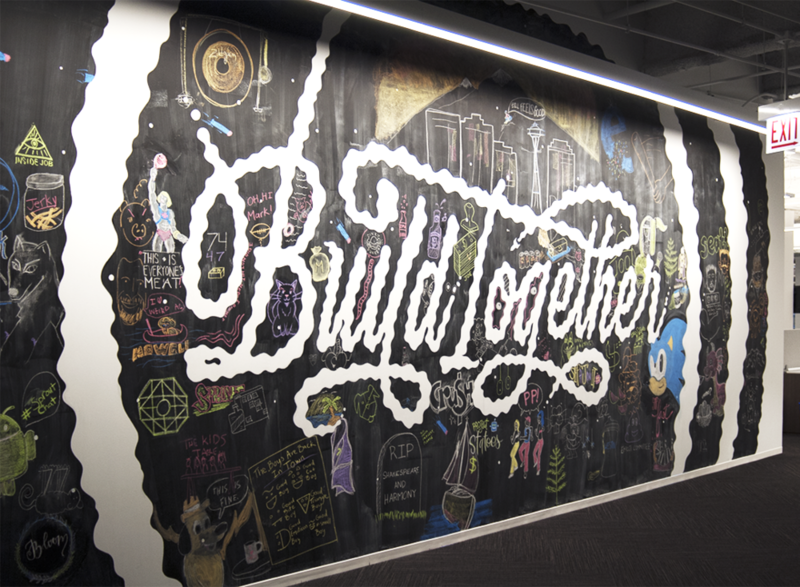 From ideation to execution, I led our in-house design team and a handful of local artists in creating murals that inspire, engage, and celebrate moments in the company’s history, as well as encourage newer team members to add their own stories to the walls.